Welcome to the Birmingham Air Raids Rememberance Association (BARRA) Online Database. The data used in this website was kindly provided by the Commonwealth War Graves Commission with extra information used from the BARRA archives. The website is now mantained by former History Teacher Doug Smith MBE. Those injured in the air raids were recorded on typed lists on the morning after the raid. This would have been done under very trying circumstances. The spelling of the names and addresses have been added as they appear on these list unless there is an obvious mistake. The dates for the injuries often go over two days as they were at night for the most part. Where this is the case we have taken the earlier date to represent when the person was injured. Finally the addresses recorded are the home address, which could be where they were injured, but in a number of cases they were obviously injured elsewhere. When searching for a date try looking at dates either side of it. When searching an area remember that sometimes we only had a road name. When looking at the injured, the address refers to their home address not necessarily where they were injured. 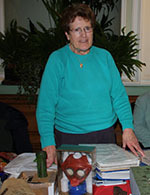 June Eastlake (1933 - 2013) from the Birmingham Air Raids Remembrance Association passed away on February 23rd 2013. June was instrumental in enabling us to create this site. She was a meticulous archivist and had a keen sense of history. She was always good humoured, positive and was a good friend to Swanshurst School. Birmingham is the second largest city in the United Kingdom and is renowned as the city of a 1,000 trades. Both its people and industry played a vital role in the British war effort, but that essential contribution is little known outside the city. Birmingham was the second most heavily bombed city in the country, and along with the whole of Merseyside it lost more of its citizens to enemy action than any other place outside London. The Blitz killed 2,241 Brummies and seriously injured another 3,010, with 3,682 harmed slightly. The Luftwaffe's air raids began on 9 August 1940 and ended on 23 April 1943, although the most destructive air raids occurred between the end of August 1940 and May 1941. Prolonged and powerful attacks destroyed 12,391 houses, 302 factories, 34 churches, halls and cinemas, and 205 other buildings. Thousands of other properties were damaged. This destruction was not immediately noticeable to strangers, scattered as it was throughout central Birmingham - an area with a population equal to that of Bolton or Cardiff. The spread of bomb damage partly accounts for the lack of appreciation of the hardships endured by Brummies - but much of that ignorance is because of government censorship. The censors sought to stifle knowledge of bombing raids nationally, but with regard to London, Coventry, Portsmouth and elsewhere their efforts quickly broke down. However, in Birmingham's case their work was successful, and in December 1940 the editor of the city's Evening Mail explained that 'the experts, time and again have assured us that the publication of detailed particulars regarding air damage would be slipping a useful card into the enemy's hands'. The fact that the Luftwaffe was unable to knock out the Royal Air Force in the Battle of Britain owed much to the workers of the Spitfire factory in Castle Bromwich, Birmingham. By the end of the war, they were producing 320 Spitfires and 20 Lancasters a month - more aircraft than any other factory in the UK. Elsewhere in the city, at Longbridge, men and women turned out 2,866 Fairey Battles, Hurricanes, Stirlings and Lancasters; whilst at the nearby Austin works almost 500 army and other vehicles were made each week - as well as a multitude of other goods. Indeed, the array of war work in Birmingham was staggering. Bristol Hercules engines made at Rover; Lancaster wings, shell cases and bombs manufactured at Fisher and Ludlow's; Spitfire wing spans and light alloy tubing at Reynold's; and plastic components at the GEC. Up to the Battle of Britain all the aero-carburettors for the RAF's Spitfires and Hurricanes were made at SU Carburettors - and if it had been destroyed the air force would have suffered a mortal blow. Serck produced all the radiators and air coolers for these planes. Workers at the Dunlop, Kynoch's, the Norton, James Cycle, Lucas, the Metropolitan-Cammell, Morris Commercial, the Wolseley, and the BSA (Birmingham Small Arms) all strove hard for victory. Indeed, when the BSA was hit badly in November 1940, Churchill himself was alarmed at the consequent national fall in the making of rifles. British Timken produced the bearings for the pipeline under the English Channel that supplied the Allies with oil after D-Day in 1944. Smaller firms were also crucial. Turner Brothers made a wide range of jigs and tools critical for aircraft production; Eddystone Radio and the Monitor Radio Company were significant in their field; jewellers turned their hands to intricate parts; and Hudson's Whistles supplied whistles to the Royal Navy and others. By 1944, 400,000 Brummies were involved in war work - a greater percentage of the population than anywhere else in the UK. Their efforts have often been overlooked, whilst the sacrifice of those who died has been forgotten. Overlooked and forgotten by all bar the people of Birmingham, who remain proud of the city's role in overcoming tyranny.